So I finally got round to going to see The Last Jedi yesterday. I took boys 1 and 2, who saw it when it first came out. Amazingly, they had somehow managed to overcome their need to verbalise every tiny little thing that enters their heads (usually more than once) to avoid spoilering me. And to give them due credit, they managed this despite two days in Disneyland Paris, involving multiple Star Wars themed activities, some of which directly referenced the most recent film. To be fair to the boy, he had a point. It wasn’t the point he thought he had, but it was a point, nevertheless. If he’d given it another couple of seconds, I probably would have known. Or rather, the lack of footprints. The film’s final battle was set on a planet with a fairly strange surface – white salt over what seemed to be some sort of bright red gravel – the ultimate purpose of which appeared to be to allow for one of those momentswhere the audience goes ‘Aaaah’ and nods knowingly at one another. By the time Kylo Ren and Luke Skywalker faced each other, lightsabers at the ready, we’d already had one close-up of the red footprints and a comment about the salt from a random rebel. We were clearly supposed to have absorbed the fact that people were leaving red footprints on a white surface. Then we had the actual confrontation, with lingering camera shots of Kylo Ren shuffling his feet and scraping away the white crust. By the time SpoileyMcSpoilerface piped up with his big reveal, I was starting to wonder what the deal with the salt actually was. No footprints = force projection, obviously, with the real Luke Skywalker perched on a rock on his Jedi island, about to watch his final sunset. As the film’s last moments played out, my main thought – apart from I am never coming to the cinema with you again – was how easy it is to seed those sort of hints in film or television, compared with the challenges of doing the same thing in a novel. Anton Chekhov f amously commented If you say in the first chapter that there is a rifle hanging on the wall, in the second or third chapter it absolutely must go off. If it’s not going to be fired, it shouldn’t be hanging there. I’m not entirely sure I agree with this. At least not as an absolute rule. If the world of your story is filled only with things that serve a specific plot purpose, then not only is there the potential for your setting to finish up extremely bare and lifeless, but it also means that those hints stand out like great big sore thumbs with flashing neon signposts pointing straight at them. If your protagonist walks into a room and notices only a rifle hanging on the wall, your readers’ attention is going to be focused directly on that rifle. Later on, when the rifle is fired, they are likely to be thinking ‘Oh, here’s the shooting bit’ rather than ‘Ooh. Gun. Bang!’ or words to that effect. If, on the other hand, the protagonist walks into a room with a rifle, a stag’s head and a pair of stuffed ferrets, they are going to notice the gun, but the neon signs aren’t going to be flashing quite as brightly. They might think the gun is an omen of things to come. Or they might think they’re just being told that the room belongs to a fanatical hunter, or that the décor has been chosen by someone with particular tastes. No, you don’t want to figure out the entire plot, along with every tiny nuance of the whodunit reveal, but I think you do need to have a sense of ‘Oh yes, that’s what that was about’ rather than ‘How the bloody hell was I supposed to know that?’ The reveal needs to be justified by clues scattered throughout the text, even if they only make sense with the benefit of hindsight. Every writer will no doubt work out their own way of dealing with this challenge, but I’ve come up with a few thoughts. *Disclaimer – the examples are ridiculous and not something I would actually consider incorporating into my current project. **Double disclaimer – not unless I get really, really desperate. stag’s head might turn out to be part of the antagonist’s obsession with Herne the Hunter. The ferrets might foreshadow his unfortunate death at the paws of a pack of rabid rodents. Or the décor might have been chosen by his late mother, who left such restrictive clauses in her will that her s on has never managed to break free of her malevolent influence. Hint at another possible reason for the clue’s existence. Have the protagonist reach a wrong, but entirely plausible, conclusion about a discovery. The gun on the wall might have distinctive decorative metalwork, reminiscent of that seen by the protagonist during some formative early-life experience. The red and white planet surface might just be there to look striking during speeder attack runs. Resolve some strands of the story before the end of the book. This allows you to hide the most important clues inside a scatter of other hints, and then to strip the misdirections away over the course of the book. These subplots should obviously be relevant to the main plotline, and not floating around in some story vacuum, but there’s no reason why everything has to lead to a final chapter resolution. So to summarise, if you say in the first chapter that there’s a rifle hanging on the wall, it may or may not need to go off, and if it does go off, the reader needs to be both surprised and at the same time not surprised. Less Chekhov’s Gun, more Schrödinger’s Gun. The gun, while hanging on the wall, is in a state of both going off and not going off, and the reader won’t know which is the true state until the relevant chapter. At this point I should probably admit that I have massive issues with the whole Schrödinger’s Cat thing. I have had various discussions about it with my more scientifically-minded partner. In the interests of full disclosure, my position is that the damn cat is alive or dead. Not both. You just don’t know which until you open the box. And no amount of ‘yes but quantum’ is going to change my mind. We now try to avoid talking about science stuff when it comes to my writing. 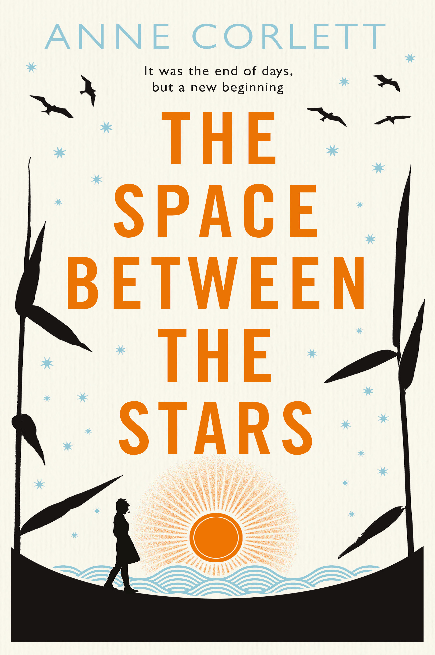 As discovered during the writing/editing of The Space Between the Stars, there is nothing more annoying than discussing spaceship landing systems with someone with an aeronautical engineering degree, who doesn’t have to figure out how to shed 30,000 words from a 140,000 word manuscript. Anyway, to sum up my Chekhov-Shrodinger and his dead/not dead cat-gun theory, I think it comes down to making sure that everything on the page serves a purpose, while obscuring the nature of that purpose till the last possible moment. 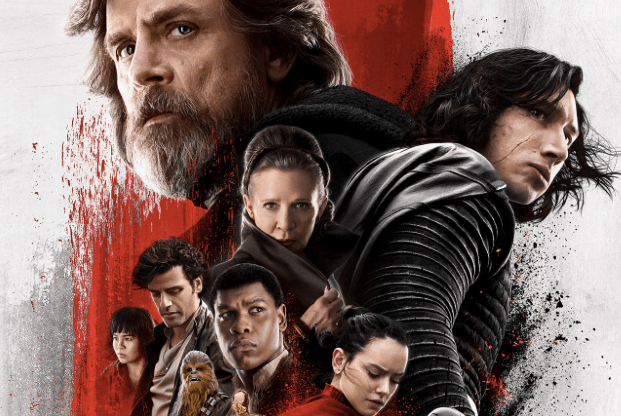 In The Last Jedi, there was a lot of stuff going on in the run up to the Ren-Skywalker showdown. If the pair of them had just walked out to meet one another on a pristine white surface, with no fighting or escaping or exploding, it would probably have been almost impossible to miss the single line of footprints. As it was, it went something like…Oh look. Salt. Speeders. The striking spectacle of scarlet plumes. Boom! Kylo Ren angst. Luke and Leia emotional moment. Speeders. At-Ats. Boom! Salty footprints. Run away! Run away! Salty footprints. Hang on a moment…BIG REVEAL! Or, as in my recent experience…Salty Footprints. Hang on a moment…IT’S NOT REALLY HIM, MUMMY! (And incidentally everyone within a ten seat radius) IT’S A GHOST! I do think that novel writers can often learn from watching screenplays. In this particular case, I learned never to go to the cinema with an eight year-old with a chronic case of mouthflap.